As an employee, how do I view notes associated with my shift? You can view notes associated with your shift by clicking the shift on the schedule page. To view any notes associated with your shift, you'll want to click Schedule on the top navigation. Once on the Schedule page, simply click on the shift you'd like to view. 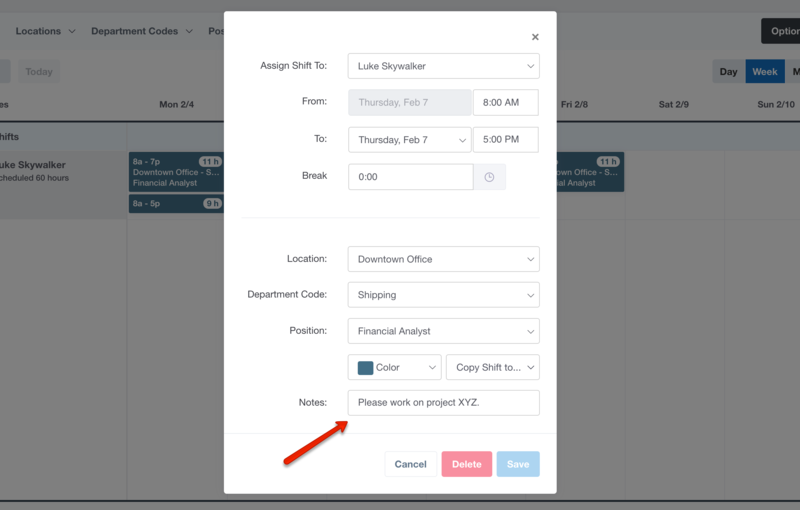 You will be able to see details relating to the shift such as Department and Location as well as any notes left by your Manager or Administrator. Please note: While you can make changes to the shift itself, you will not be able to save those changes.